Last month I showed you guys my idea of a Modern Christmas Tablescape. Well, its a new month and a new year. Christmas is quickly becoming a distant memory, but today I'm sharing a tutorial from my tablescape that would be great year-round. 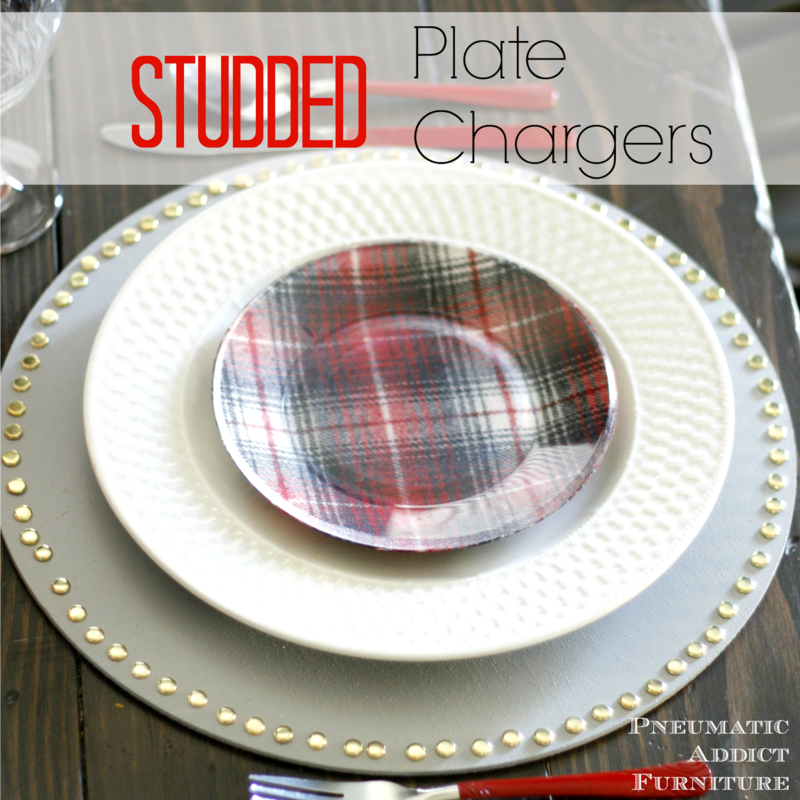 Easy, studded plate chargers you can make yourself. Do those chargers look familiar? Yep, they are the same ones I used for Thanksgiving. Waste not, want not. 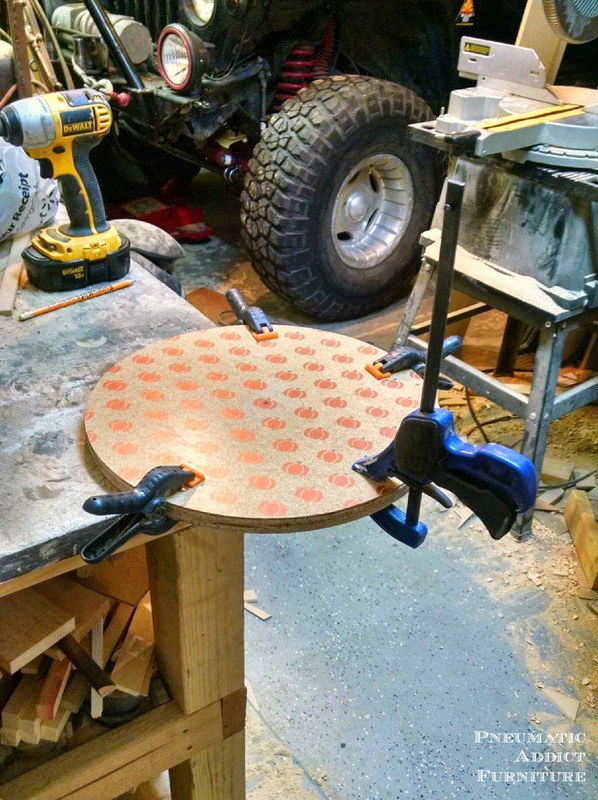 If you're interested in learning how to make your own wood plate chargers check out this tutorial. This technique works for store bought chargers too (like the $1 plastic ones). If the chargers you happen to use are flat, you can clamp them together and drill them all at once. Just make sure they are clamped tightly together and to a work surface. 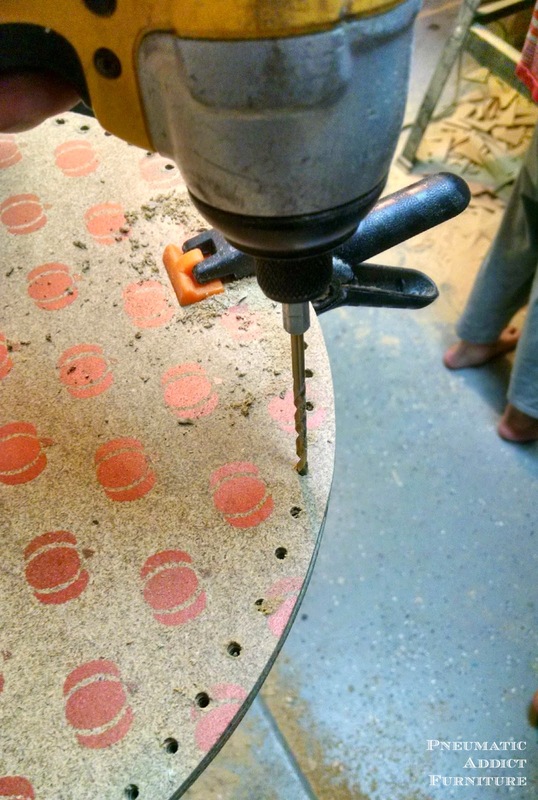 Using a 1/8" drill bit, drill holes, evenly spaced, around the perimeter of the chargers. Its up to you how far apart you spread them, but try to keep at least 1/4" space from the edge. Obviously, the copper pumpkins were not going to work for a Christmas table design, so at this point I quickly brushed on a couple coats of a light gray color. Now for the studs. 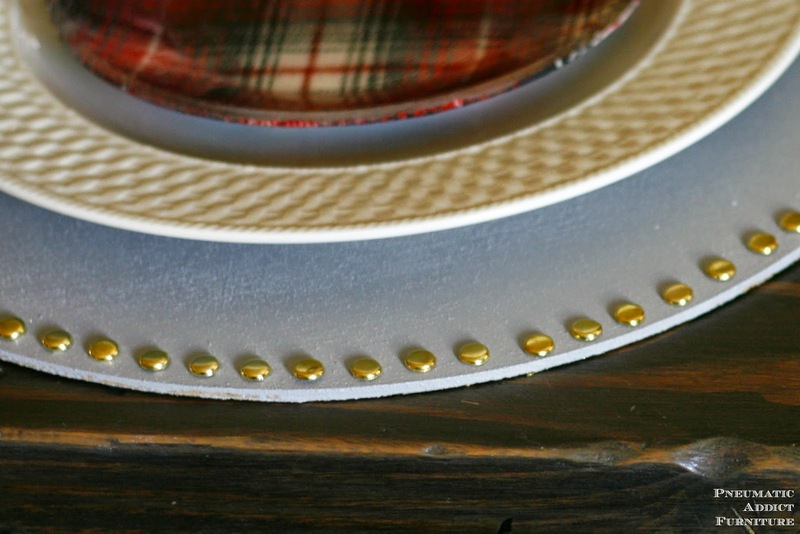 I stole this trick from the time I made my studded pillow covers. 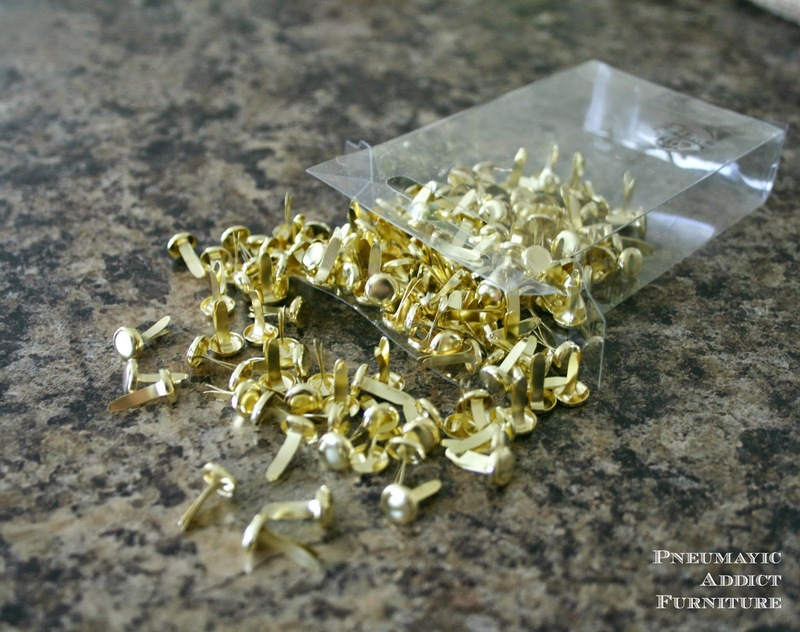 The "studs" are actually brass paper fasteners (I always called them 'brads'). The shorter the better. I used 1/2", which I found in the office section at Wal-Mart, but if you can't find them locally, you can buy them *here on Amazon . I used about 350 fasteners for 6 chargers. From here on its pretty self explanatory. 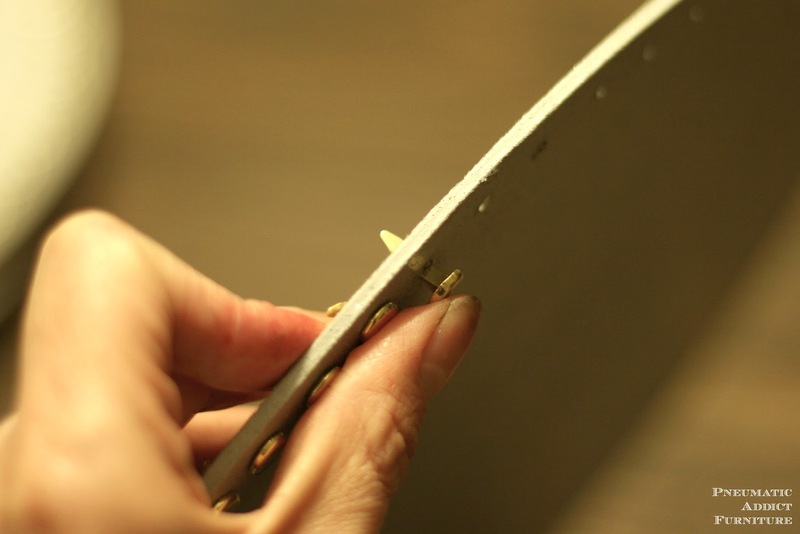 You push a fastener through each hole, and spread the tangs on the backside. Its a bit tedious, but really easy. Eventually, you end up with something like this. 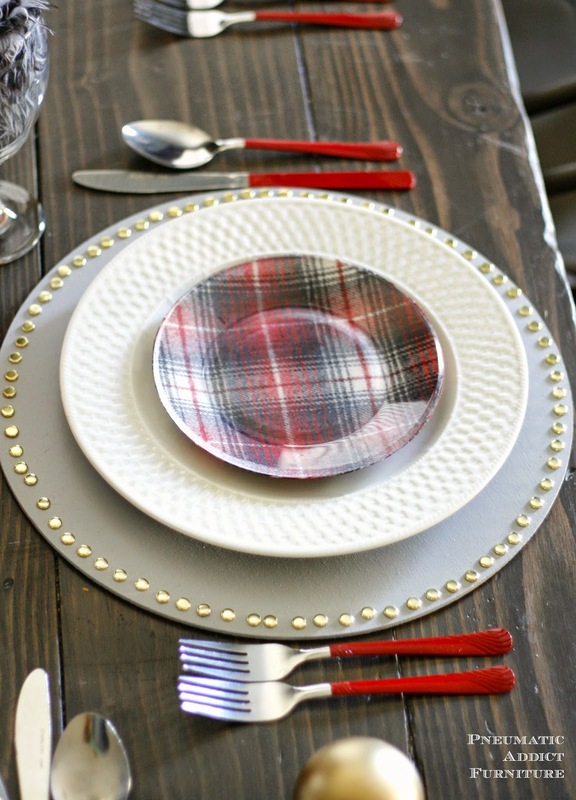 A great way to add a little bling to an otherwise boring table setting. Give it a shot! 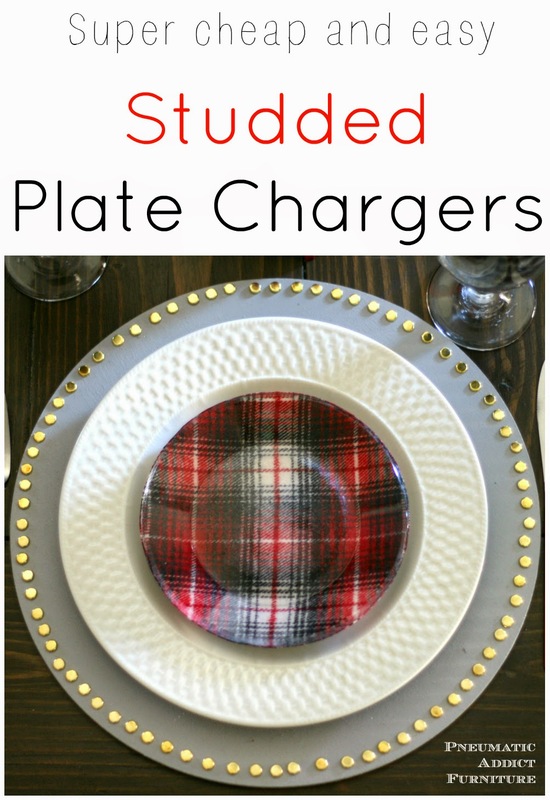 The holidays may be done for a while, but there are lots of fun reasons to have a set of fancy plate chargers laying around during the year. That's a great idea! They would look good hung on the wall too. I pinned this to try later. Oh shut up! 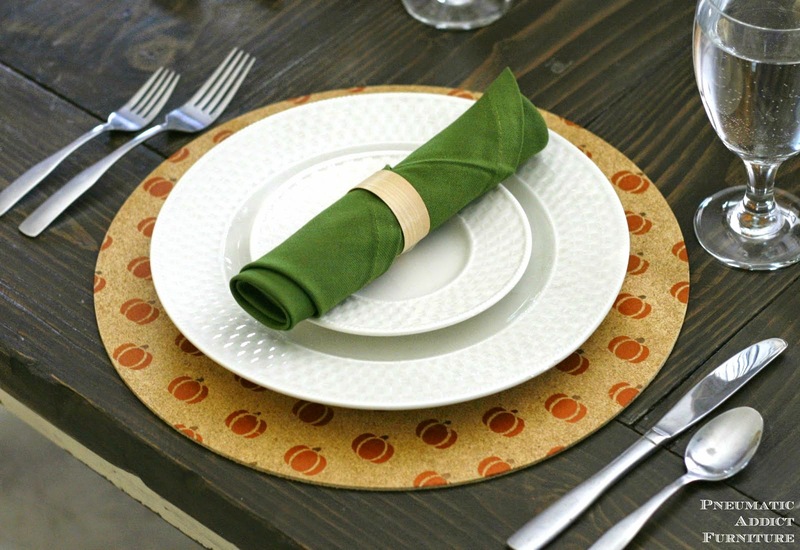 As a dedicated Tablescaper I LOVE this! So awesome! Pinning for sure!